Users tied into the Fitbit ecosystem and frustrated by its lack of compatibility with Apple's Health app in iOS 8 can turn to a new app called Sync Solver, which automatically exports Fitbit data like steps, weight and sleep into the Health app. In addition to steps, the 99-cent Sync Solver app also supports flights climbed, distance, weight, body fat percentage, body mass index, sleep analysis, dietary calories, resting calories, and active calories. Developer James McAndrew provided AppleInsider with a copy of the app, and our initial tests did find it works as advertised. Tapping in to a user's Fitbit account, Sync Solver gathers data from the Fitbit family of products, including step trackers and connected scales. 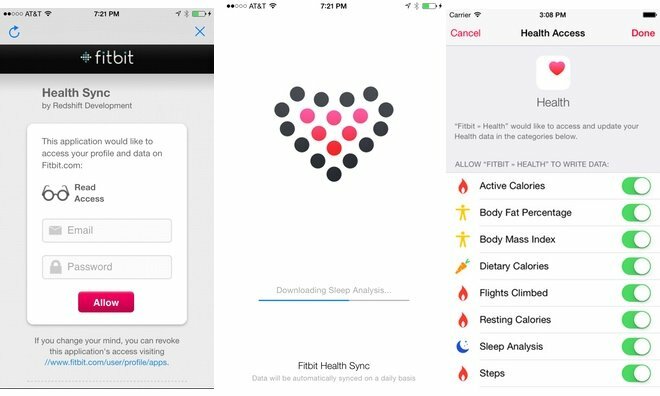 In addition to authorizing access to their Fitbit account, users must also approve Sync Solver to write and read the associated data in the iOS 8 Health app. After configuring the app, Sync Solver will automatically sync with a user's Fitbit account once per day. 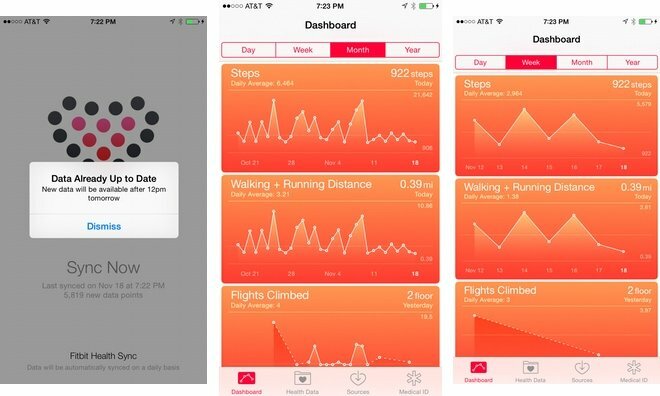 The data is then exported to Apple's Heath app using the HealthKit features of iOS 8. Sync Solver does not offer intraday data granularity at the moment, due to limitations with Fitbit's developer tools. The developer also notes that Apple does not yet provide a way to disable step counting from the iPhone 5s, iPhone 6 and iPhone 6 Plus, which can result in double counting of step data. The need for Sync Solver has come about because Fitbit has publicly said they currently have no plans to integrate with Apple's HealthKit capabilities in iOS 8. Apple has also opted to begin removing Fitbit devices from its stores, though the company has not said whether the HealthKit dispute is directly related. Still, some users may have invested hundreds of dollars in Fitbit hardware, like pedometers and scales, and for now Sync Solver offers a way for them to continue using those popular devices while also allowing data to be shared with other HealthKit-compatible apps on the iPhone. One possible reason for Fitbit's reluctance to embrace HealthKit is the fact that data exporting is a "premium" feature in the company's ecosystem. The ability to freely export Fitbit data, and integrate it with other services, requires a membership priced at $49.99, while Apple's HealthKit could accomplish those same tasks for free. Fitbit recently unveiled a trio of new fitness trackers set to launch in the near future, some of them with heart rate tracking. And Apple is also launching its own fitness tracking Watch in early 2015, which will accomplish many of the same capabilities as the Fitbit product family while also offering more advanced smart watch functions and HealthKit integration.